Jonny Sopotiuk is a practicing artist and agitator working on the Unceded Indigenous territories belonging to the Musqueam, Skxwú7mesh-ulh Úxwumixw (Squamish) and Tsleil-Watututh peoples in East Vancouver, British Columbia, Canada. He was he was born on Treaty 1 Territory in Winnipeg, Manitoba, Canada and grew up on the Canadian Prairies. His interdisciplinary studio practice works in installation, sculpture, ceramics, print making, photography and video. 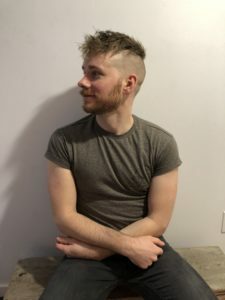 Jonny explores issues of equity, identity, social justice and politics through themes of sexuality, gender, compulsion, queerness, power, privilege, capitalism, imperialism, colonization and labour through his work.